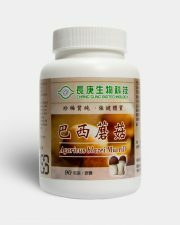 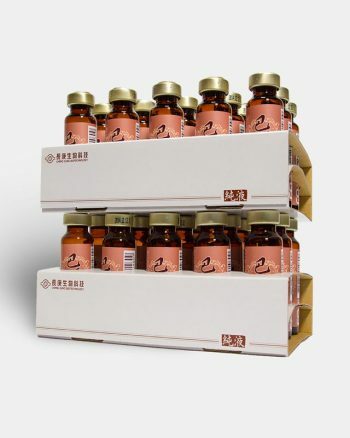 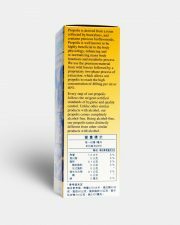 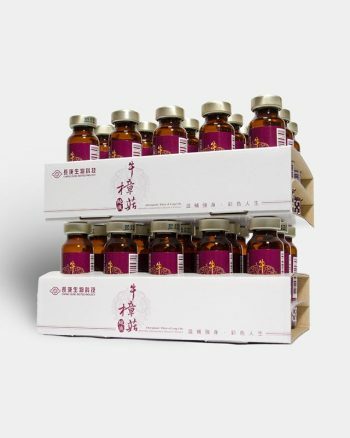 Ingredients: Propolis extract liquid, propylene glycol (USP). 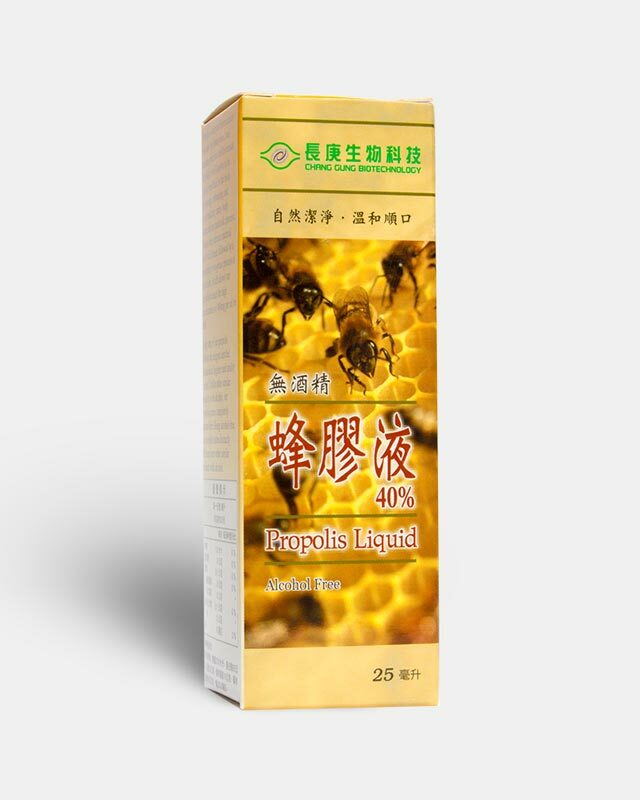 Our Propolis Liquid, derived from resin collected by honeybees, is rich in natural bioflavonoids, which help bees fight against infections by viruses and bacteria. 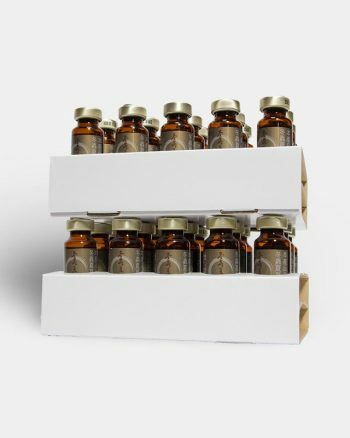 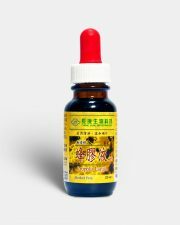 Propolis is well known to be highly beneficial to the body physiology, enhancing and re-normalizing many body functions and metabolic processes. 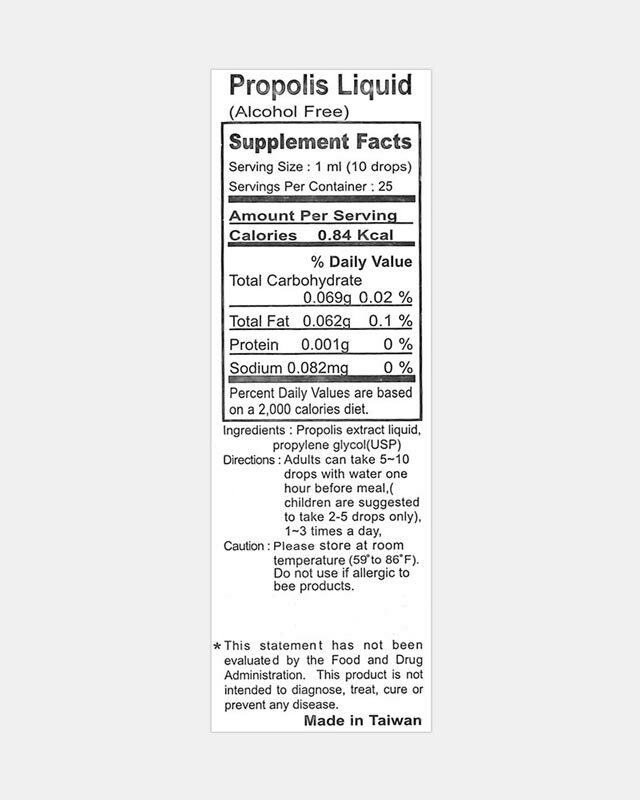 Propolis is derived from a resin collected by honeybees. 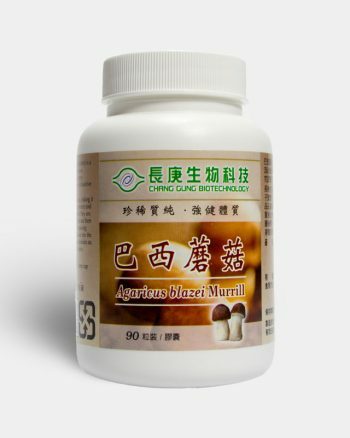 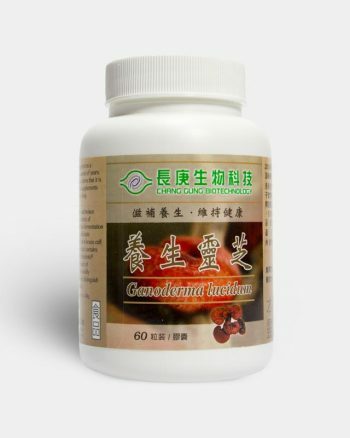 It is rich in natural bioflavonoids. 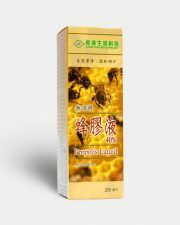 Propolis is well known to be highly beneficial to the body physiology, enhancing and re-normalizing many body functions and metabolic processes. 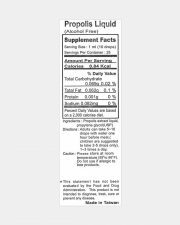 We use only the cleanest material from wild forests followed by a proprietary two-phase process of extraction, which allows our propolis to reach the high concentration of 400mg per ml or 40%. 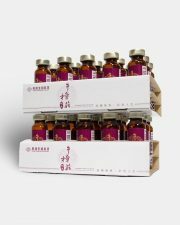 Every step of our propolis follows the highest certified standards of hygiene and quality control. Unlike other similar products, our propolis comes completely alcohol-free. 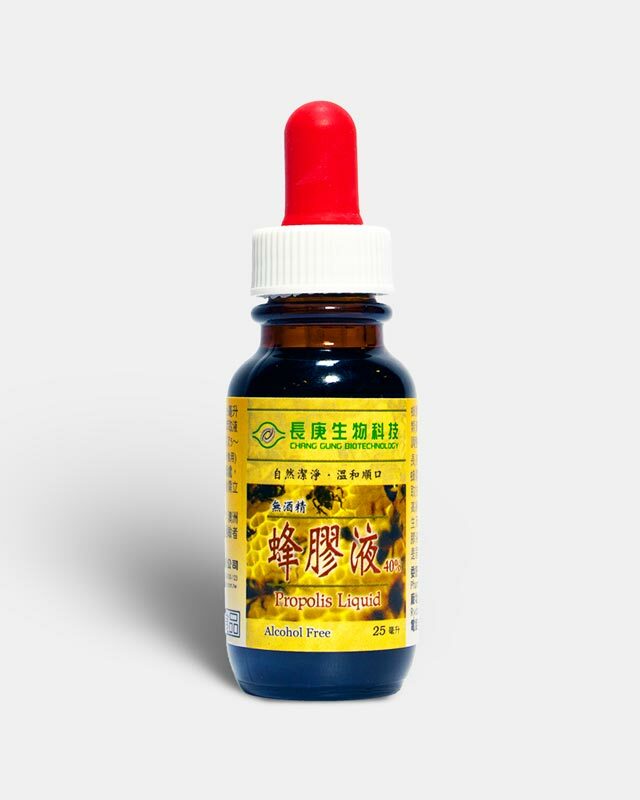 Being alcohol-free, our propolis tastes distinctly different from other similar products.